Despite the rain and bad weather, just at the moment when the carnival parade was about to start from the Republic Square, the sixth Days of Brazil were finished in a great style... 24.Aug 2015. 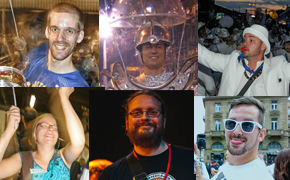 Six masters will be conducting the samba percussion workshops for sambistas with experience on the sixth Days of Brazil - Novi Sad Samba Carnival... 10.Aug 2015. Samba percussion workshops for sambistas with experience on the sixth Days of Brazil - Novi Sad Samba Carnival will be conducting 6 masters, each of them for separate instrument, while Chris Quade Couto, professor of music in Cologne, Germany will be the general conductor of the workshops.... 22.June 2015. Dani Brazila and "the fifth season"
By all means the city of Rijeka is an authentic city because it has "something" which distinguishes it from the rest of the world and that "something" is how Rijeka's natives say "the fifth season“. While everyone lives a year within four seasons, by stealing a part of the winter, and a bit of the spring, Rijeka created its own unique fifth season... 17.May 2015. This year’s Days of Brazil - Novi Sad Samba Carnival will offer to it’s audience a rich musical program full of samba rhythms, reggae and Afro sounds - all that can turn hot summer night into a great party..... 12.Aug 2015. In 1991 Steen Møller founded Capoeira Senzala school in Copenhagen, Denmark. He is the student of Mestre Peixinho from Rio de Janeiro. He is the only master of Capoeira within Grupo Senzala.... 07.Aug 2015. For the announcement of the Sixth Novi Sad samba carnival on Saturday 1 August at 9 pm at Novi Sad's beach "Štrand" , we have prepared for you the real Brazilian music and dance warm up.... 26.July 2015. You have rythm- try samba! Great last year's experience and interest in the beginner samba percussion workshops contributed that this workshop will be repeated this year as well. If you feel that you have rhythm and have notyet tried at playing, samba is the best opportunity to start... 08.July 2015. Part of the festival Days of Brazil – Novi Sad samba carnival to be held from 14th to 16th of August in Novi Sad, Serbia are traditionally capoeira workshops that will be organized by the sports and recreation club Capoeira Senzala Novi Sad. The workshops will be organized for professionals and amateurs, and everyone is welcome, regardless of gender, age or capoeira group... 19.June 2015. This year's Days of Brazil-Novi Sad Samba Carnival will include the promotion of two books through which our audience will get to know Brazil in a new, exploitative and creative way.... 10.Aug 2015. Days of Brazil – Novi Sad samba carnival will organize a workshop of samba dance led by a professional dancer from Cuba - Jorge Luis Garmendia, better known as Tito. These workshops are intended for experienced dancers who want to improve their knowledge in samba dance... 09.July 2015. 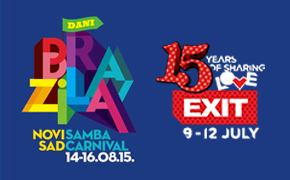 This year EXIT festival will be an opportunity to present certainly one of the most prominent festivals in Novi Sad this year - Days of Brazil - Novi Sad Samba Carnival! As an essential part of Days of Brazil every day at the EXIT festival will be organized presentations... 06.July 2015. With great pleasure and joy we are announcing to all fans of the festival Days of Brazil and Bazilian culture that the Festival Days of Brazil - Novi Sad Samba Carnival will be held from 14 to 16 August. Tradicionally, we are planning to envolve renowned experts from Europe and Brazil who will lead samba percussion, dance and capoeira workshops... 17.May 2015. Despite the rain and bad weather, just at the moment when the carnival parade was about to start from the Republic Square, the sixth Days of Brazil were finished in a great style. The rain didn't stop over 400 participants of the carnival parade who attended the workshop last two days of the Festival,who showed with samba rhythms how the rain can be a lot of fun! The most faithful fans of the carnival under umbrellas fallowed the performance of samba percussionists, dancers and capoeiristas who through the carnival parade showed the results of participation in the workshops. This year's Days of Brazil were the most diverse regarding to parts of the globe from which the participants were coming. Therefore we welcomed participants from Brazil, USA, New Zealand, Cuba, Russia, Denmark, UK, Turkey, France, Italy, Hungary and the region! Fallowing the parade and as the festival ending percussion association Bloco X performed in its full composition of 50 percussionists and with just a little delay came the local support - the great band Drum n Zez. Therefore the carnival was held as planned with just a small changes. Thanks to all of you who were with us during the three days of the Festival and joining us at the rainy but cheerful carnival parade! This year’s Days of Brazil - Novi Sad Samba Carnival will offer to it’s audience a rich musical program full of samba rhythms, reggae and Afro sounds - all that can turn hot summer night into a great party. Every day of the festival the stage will be filled with over 10 musicians and dancers who will certainly contribute to an unforgettable atmosphere. 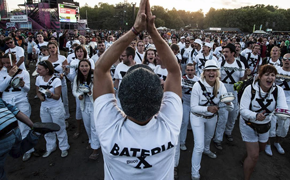 On Friday August 14 at the SKC Brod Teatar stage comes Bloco X - musical association that brings together the best samba percussionists from all over Europe. At the opening of the festival they will perform so called "pagodas" or type of samba which is performed with melodic instruments, while the second and third day they will do the performances not to be missed by lovers of the good rhythm. On Saturday August 15 at the same place (SKC Brod Teatar) audience will have the chance to listen to the Igor Vince & The Drum, Brass Keys, an international band based in Belgrade and led by multi-talented Igor Vince who won’t leave anyone indifferent. This 10-member band joining imaginative and experienced musicians with three dancers and strong back vocals dives deep into the world’s musical traditions to create something honest, pure and emotional. 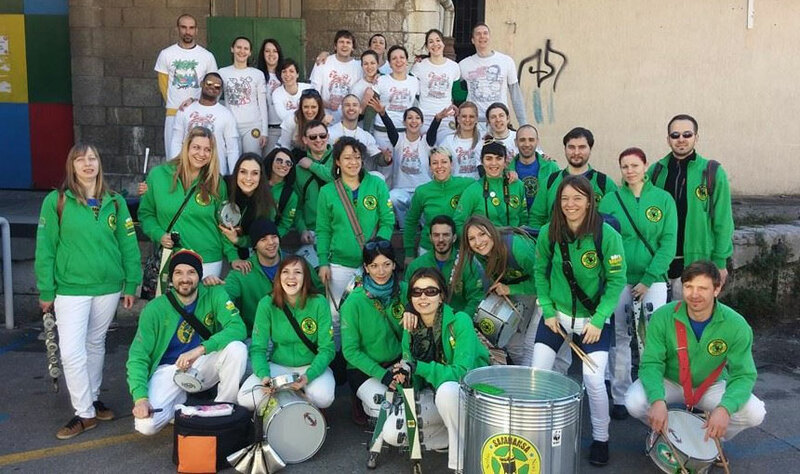 Bloco X gathers samba percussion players from all over Europe who meet at least twice a year to play together. This big band with more than 40 participants aims to gather best percussionists and musicians alike and give them the chance to play together. One part of their gigs includes new sounds of samba from Rio and experienced musicians even with no rehearsal easily convert rhythms to wiggling your hips. "When we play together good energy and fun are guaranteed." The focus of this organization is to network and help development of the Rio samba scene and take care of friends sambistas across Europe. Bloco X includes percussionist from England, Germany, France, Netherlands, Poland , Austria, Sweden, Spain, Hungary , Italy, Serbia , etc. This band is an attractive high-energy mix of Afrobeat, reggae, soul, Latin and R & B sound of the 1990s. Their songs are giving life to the core values and feelings that keep our planet whole and beautiful. With roots rhythms of the world and by passionate harmonies they bring audience to the madness. Igor Vince (Belgrade, 1983) studied music in Senegal, Benin, Mali, Nigeria, Ethiopia, Cuba, France, Germany and Serbia. As a talented percussionist and multi-instrumentalist, he has performed and toured with some of the biggest names in music today such as Femi Kuti, Keziah Jones, Cheick Tidiane Seck, Fatoumata Diawara, Dean Bowman and Cheikh Lo. In 2011 he dedicated his time to solo project with a team of musicians from all over the globe. His debut album "Let's Do It" hosting legendary Femi Kuti, Dean Bowman and Tommy T was released in May 2015. 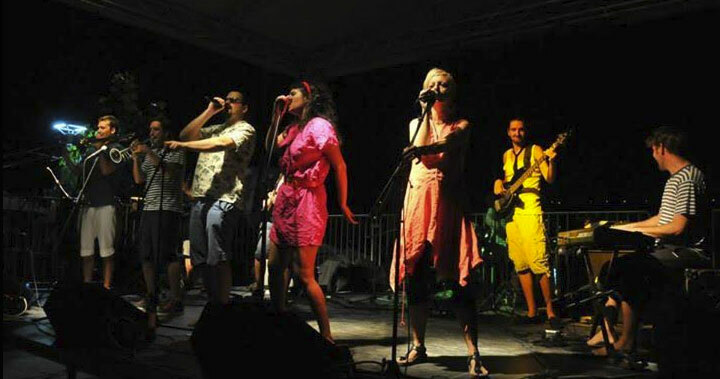 Cheerful band from Novi Sad with more than 18 years of experience on the music scene. They have three studio albums and numerous appearances in the region. Their musical expression seems like as it is "cooked" in the world music cuisine, well-seasoned with pop spices. On their latest release"We are in the Park" they included the song "Kume" (Godfather) which is a remake of the Brazilian traditional song. Skilled creators of hits such as "Palacinka", "Danube", "Papucar", through their humorous texts and cheerful tones they bring recognisable good mood. This year's Days of Brazil-Novi Sad Samba Carnival will include the promotion of two books through which our audience will get to know Brazil in a new, exploitative and creative way. 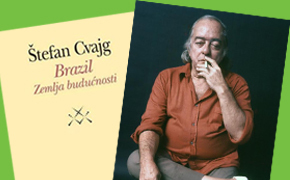 Those books are the travelogue "Brazil: A Land of the Future" by Stefan Zweig published by the “Službeni glasnik” publishing house and a collection of poems titled "Selected Poems" by Vinicius de Moraes, bossa nova poet, published by the Brazilian Embassy in Belgrade. Promotions will be held on August 14, starting at 8.00 pm on Boat Theater. We invite all good reading lovers to join us in a unique atmosphere on the Danube bank and gain a new perspective on Brazil. Austrian writer who was escaping the vortex of World War II and found his resort in Brazil. Extremely sensitive Zweig suffered too much because Europe, rich in cultural heritage which he considered his indivisible spiritual homeland, suffered slavery and humiliation, plunged into darkness of heartless barbarity. This travelogue presents his personal impression on Brazil, the vast and fertile land, historicly devoided of major wars, country of untouched beauty that for him represented almost utopian place seemingly unaffected by the ills of the modern world. "... I spent half a year in this country, and only now I know, despite my zeal for learning and traveling, how much I still miss in order to create a really complete overview of this vast empire and how a whole lifetime wouldn’t be enough so you may say: I know Brazil. " 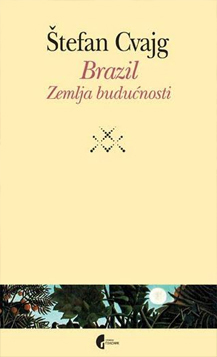 This bilingual edition is a collection of 53 poems by Vinicius de Moraes, published by the Embassy of Brazil in Belgrade in cooperation with the publishing house IP Glosarijum from Belgrade in order to mark the centenary of the poets birth (1913-2013). Most of the poems in the book are completely unknown to our audience. 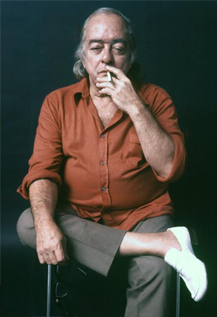 However, fans of bossa nova will probably recognize many of the lyrics in Portuguese, since the book is rich with poems that Vinisijus has written as texts for compositions made by Tom Jobim such as the famous "Girl from Ipanema". Now our audience who doesn’t speak Portuguese will be finally able to understand what are the words sung in those songs. In 1991 Steen Møller founded Capoeira Senzala school in Copenhagen, Denmark. He is the student of Mestre Peixinho from Rio de Janeiro. He is the only master of Capoeira within Grupo Senzala who isn't of Brazilian origin. 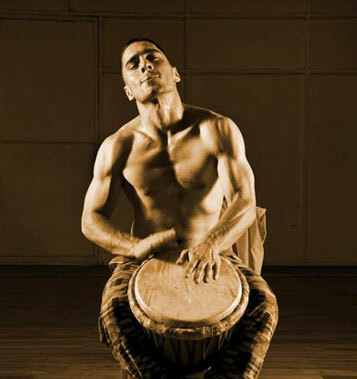 A great connoisseur of Afro-Brazilian dance and music; percussionist and singer. He also holds a black belt in Tae Kwon Do. By education is a graduate professor of physical education and physical therapist.A decade after the opening of the school of capoeira in Copenhagen he comes to Serbia, bringing this skill to our region. Capoeira Senzala clubs from Novi Sad and Belgrade are functioning under his supervision within the group Centro Cultural Senzala de Capoeira. One of the best Capoeirista not only in Grupo Senzala but also in the worldwide Capoeira community. He began his career in Brazil, and in 1997 went to work in Paris, France. Mestre Torneiro holds numerous seminars in Europe, Asia, Brazil and the United States. Respected and honored by the capoeiristas because of his unique style and Capoeira philosophy. He is a key figure in the development of Capoeira in France because thanks to him Capoeira in that country is experiencing an expansion. 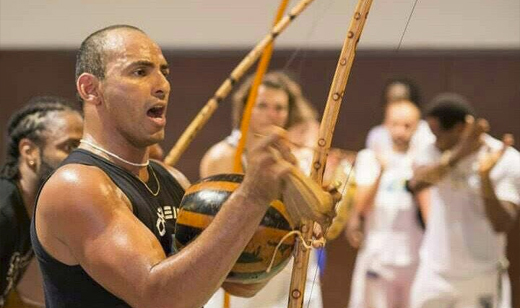 Mestre Torneiro is currently active in teaching Capoeira in Paris and managing his own Senzala group in Europe regions. Chris was born in 1981 and began his career as a musician already as a child and with only 15 years, specialized in brazilian percussion. He participated various intensive workshops in brazilian and cuban percussion with teachers like Dudu Tucci and Ravin Jayasuriya, played in groups such as Pimenta Malagueta, Tim Sein Lada and Cologne Street Beat, founded and directed the samba school Unidos de Colônia and the samba group Suco Legal and played percussion in the Samba Funk band Muamba. Nowadays he is a musical director of the Bloco X, singer and percussionist of the forró trio Capangas, percussionist of the Denise Krammers Trio and since 2004 he plays in the bateria of Unidos da Tijuca (winner of the Carnival in Rio de Janeiro in 2010, 2012 and 2014) and other samba schools in Rio. 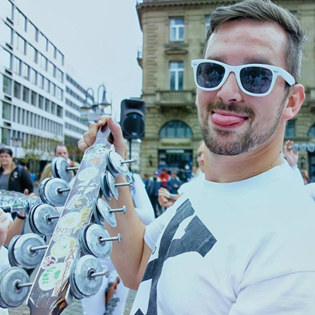 Chris works as a musician, producer, teacher of Brazilian percussion, organizes cultural events and is a member of the board of the town twinning association Köln-Rio e.V. 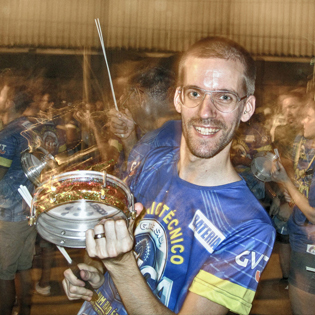 Since 2009 Chris travels each year throughout whole world to give Samba workshops. During the last years, he visited many countries, such as Japan, France, Turkey, Italy, Hungary, Poland, Finland, Sweden, Scotland, Lebanon, Portugal, etc. and in spring 2010 even held a special workshop for the percussion students in the famous Conservatory of world music in Rotterdamm/Netherlands. Chris is an oficial endorser for instruments of the famos brazilian brand Contemporânea. He started playing samba in the year 1996 and graduated a studies in afro-cuban and -brazilian percussion in Rotterdam / Netherlands. In Brazil he was playing and parading with schools like Mocidade, Estácio, Cubango, Beija-Flor, Tijuca, Grande Rio, Portela to name some. Known for his versatile and crazy playing he was honored to play a repinique-battle in the quadra of Estácio de Sá. Of course he is a part of his hometown school ’Unidos de Hamburgo’ and since this year busy as the ’Mestre Caçador’. Besides different projects in teaching, coaching and playing he is leading the repinique section of bloco X. It’s a honor for him to be a part of the big samba-family! Anikas adventure with samba carioca began with Rhythms of the City and Paraíso in London in 2003. Fascinated with the tamborim from the beginning, she’s had the opportunity to experiance the full carnival season 2010 with the baterias of Portela, Tijuca and Cubango in Rio de Janeiro. 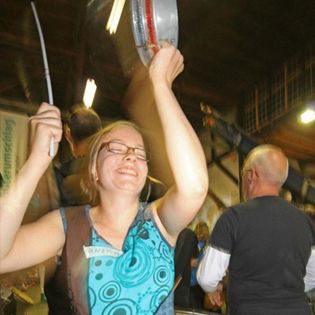 On a daily basis she leads the tamborim sections of Unidos de Hamburgo and Bloco X. He got the first drum set five years ago, when he starts with his formal musical education. He played in several rock and metal bands until 2000, when he switched to samba. His parent battery is Querschläger Paderborn and has performed with many German and European percussionists , such as Mocidade , Vila Isabel and Cubango. His striking skills is studied in many workshops in Africa and Brazil , under the mentorship of mešterea from Rio. 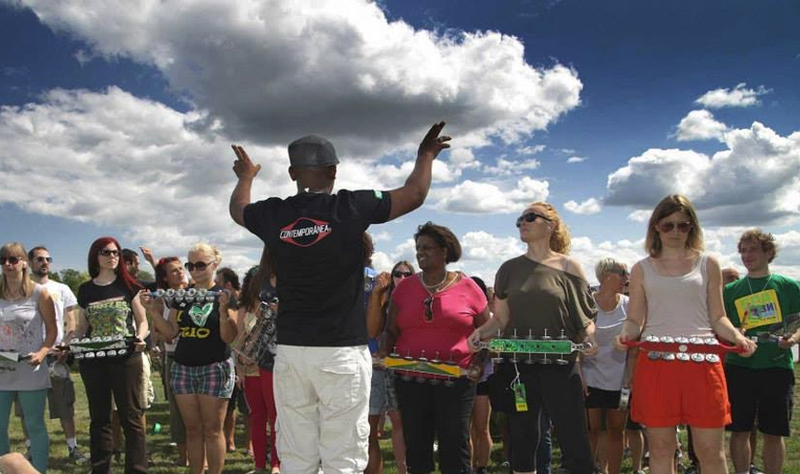 In Germany , Austria and Hungary, and he conducts workshops samba percussion . Julian is a 33 years old musician who started playing Brazilian percussion in 2000. 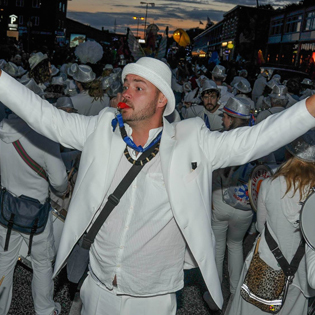 Since 2004 he is involved with rio samba through the foundation of Unidos de Hamburgo/Germany, Inspired by the french samba scene he became mestre bateria of UdHH(07-09). 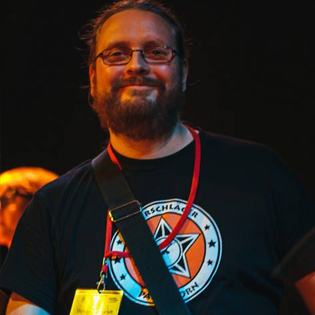 He shas a vast international experience in leading workshops - Dani brazila/Novi Sad, Samba syndrome/Berlin, Istanbul, Danmark. He is studing at the Music conservatory in Aalborg Danmark where he lives, Finishing his Bachelor in Individual music pedagogics this summer with Drums and percussion/Rhythmical Coordination. He started playing samba percussion in 2006 in the "Samba de Areia" from Sanda on Main river, and trough his dedication and love for the samba he became the second conductor. 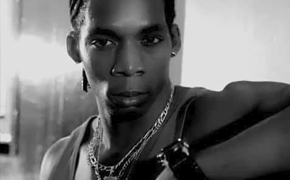 Through the group "Unidos do Sul", in 2007 he first came into contact with the Samba Carioca style, the styleoriginated from big carnival schools in Rio Janeiro. Through development of this style and improvement of the repertoire and playing techniques primarily chocalco (shaker). In 2008 he was called to participate in "Bloco X" an association of the world's best sambist where to this day he remains a member and the conductor of musical sections. Since then he has played in many groups and performed all over Europe, among other at: Sziget Festival - Bloco X - Budapest - Hungary, the opening of the Carnival of Cultures Sapcaju no Samba - Berlin - Germany, Station Woodstock Festival - Bloco X - Kostrina - Poland, Festa the Quadra - Misto Quente - Paris - France, 15 ans de Bateria Alegria - Tours - France, and since 2006 has participated with various groups at samba festival in Coburg. In 2014 he formed his own samba group in Hofheim “BATARILO Caliente” with a big goal to one day perform at the Sambodromo in Rio. For the announcement of the Sixth Novi Sad samba carnival on Saturday 1 August at 9 pm at Novi Sad's beach "Štrand" , we have prepared for you the real Brazilian music and dance warm up. At the promotional party of the festival " Days of Brazil - Novi Sad Samba Carnival " with the rhythms of samba percussion school "Sambansa", samba dancing by " Sambalkinhas " and acrobatics by capoeiristas from Capoeira club "Senzala Novi Sad" Danube beach will turn into Copacabana! 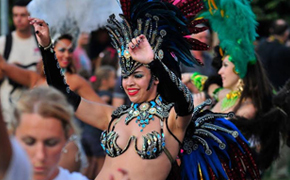 Festival "Days of Brazil- Novi Sad Samba Carnival" will be held in Novi Sad from 14 to 16 of August, and the the festival warm-up party is free and open to all who can not resist the seductive charm of Brazilian culture! See you on August 1st at the "Štrand"! Festival "Days of Brazil - Novi Sad Samba Carnival"
Days of Brazil – Novi Sad samba carnival will organize a workshop of samba dance led by a professional dancer from Cuba - Jorge Luis Garmendia, better known as Tito. These workshops are intended for experienced dancers who want to improve their knowledge in samba dance. Workshops will be held on Saturday, August 15 and Sunday, August 16 at the dancing studio Allegro. If they want, workshop participants will have the possibility to participate in the carnival parade that will be held on the last day of the festival on August 16. Participation fee for the workshops is 10 euro for all three festival days including the place in the camp that will be built for the participants of the Festival at the Štrand beach. Detailed information on the shedule will be available trough the official Festival program very soon. Jorge Luis Garmendi, better known as Tito is a professional dancer from Havana, Cuba. He graduated and got evaluated as a professional dancer in Tony Menendez company in Havana, where he worked as first dancer for 3 years. His dance education is based on classical ballet, contemporary ballet, popular Cuban dances such as salsa, son, cha cha cha, mambo, pilon, danzon, merengue, hip hop with acrobatics, afro Cuban dances such as rumba, columbia, yambu, orisha etc. He also studied Brazilian dances such as samba and capoeira at open studio in Havana. Never losing wish to improve himself led him to take classes in Narciso Medina contemporary dance company and Yol dance modern production show company. Currently he is living and working as a professional model and dancer in Serbia where he was involved in big international fashion events , cuban salsa and hip hop festivals as an instructor and a performer. You have rythm - try samba! 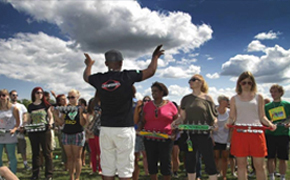 Great last year's experience and interest in the beginner samba percussion workshops contributed that this workshop will be repeated this year as well. If you feel that you have rhythm and have not yet tried at playing , samba is the best opportunity to start. 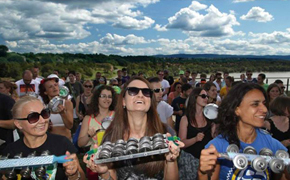 Through this workshop , participants will have the opportunity to feel the energy of Brazilian percussion in the group playing and all that in the beautiful surroundings of the Petrovaradin fortress. 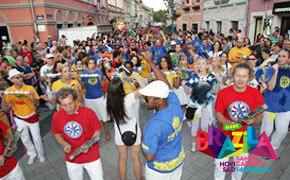 The workshop leader will be Sasa Ignjatovic, percussionist and founder of the Samba School " Sambansa " from Novi Sad . All the instruments and necessary equipment will be provided by us and all you should bring is a good mood. 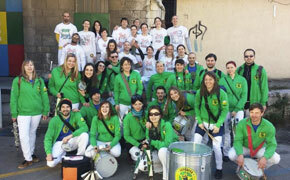 Samba percussion workshops for sambistas with experience on the sixth Days of Brazil - Novi Sad Samba Carnival will be conducting 6 masters, each of them for separate instrument, while Chris Quade Couto, professor of music in Cologne, Germany will be the general conductor of the workshops. 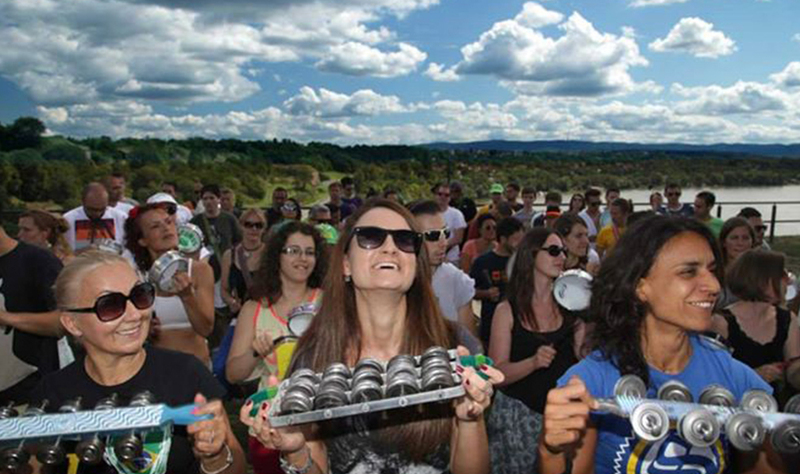 Festival Days of Brazil will be held from 14th to 16th of August in Novi Sad, Serbia and rehearsals for samba workshops participants will be held at the beautiful Petrovaradin Fortress. Registration fee for participation in the workshops is 10 euros for all three days, including the accommodation at the camp on the Novi Sad beach "Strand" situated on the Danube river. 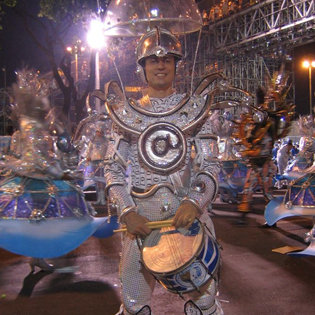 In addition to learning new techniques, sharing experiences and socializing, the aim of these workshops is preparation for participation in the carnival parade which traditionally crowns the last day of the Festival Days of Brazil. 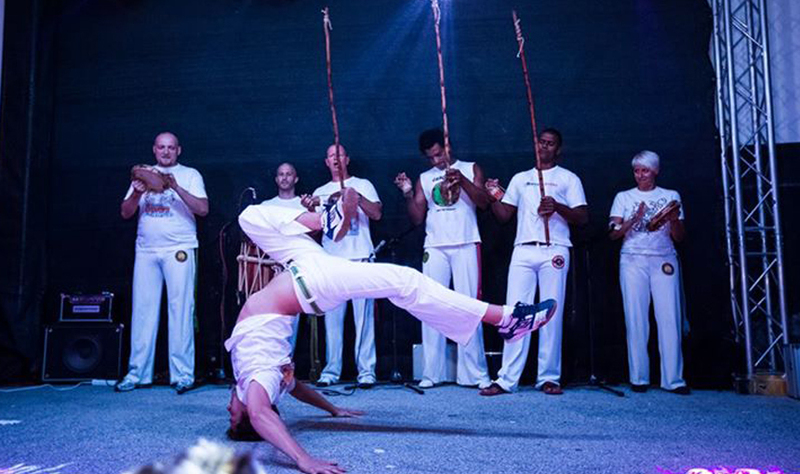 Part of the festival Days of Brazil – Novi Sad samba carnival to be held from 14th to 16th of August in Novi Sad, Serbia are traditionally capoeira workshops that will be organized by the sports and recreation club Capoeira Senzala Novi Sad. The workshops will be organized for professionals and amateurs, and everyone is welcome, regardless of gender, age or capoeira group. 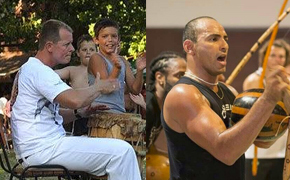 Capoeira workshops will lead Mestre Steenn and Mestre Torneiro, and free workshops will be organized for those who want to try out this martial art for the first time by instructors Siniša Cvetković and Bojan Jung (adults) and Marko Tajs and Veljko Vavrin (children). Participants will have the chance to try out every aspect of capoeira: fight, music and acrobatics as well as different styles and dances that are closely connected to capoeira and Brazilian culture, like maculele, a dance that includes the use of sticks. On the last day of the festival the traditional Carnival parade will be organized gathering all participating capoeiristas, together with other participants joining workshops within this three-day Festival. Each year the festival attracts more foreigners and the reason for this are favorable conditions such as trainings on the beach, low prices of food, beverages and transport, great sunny weather and the unforgettable atmosphere! Last year the Capoeira workshops attended 130 people, while the whole festival visited 160 foreigners from the region, Brazil, UK, Denmark, Finland, Italy, France, Russia, Japan and so on. By all means the city of Rijeka is an authentic city because it has "something" which distinguishes it from the rest of the world and that "something" is how Rijeka's natives say "the fifth season“. While everyone lives a year within four seasons, by stealing a part of the winter, and a bit of the spring, Rijeka created its own unique fifth season. That is the Carnival and the Carnival in Rijeka is always written with capital letters and lived with all heart. This year the festival Days of Brazil has been participating at the Rijeka Carnival together with 110 registered groups from across the region, which included for thousands of masked and smiling people. 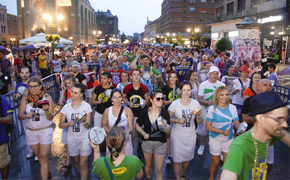 Among them there were the Novi Sad samba percussionists (Sambansa) and capoeiristas (Senzala) who represented Days of Brazil Novi Sad Samba Carnival. Although Rijeka Carnival uses a great deal of "miracles of technology", so that stories about it can be seen in documentaries, television and radio broadcasts, millions of photos, every part of this carnival is best experienced 'live' on the street, in the masked crowd. With great pleasure and joy we are announcing to all fans of the festival Days of Brazil and Bazilian culture that the Festival Days of Brazil - Novi Sad Samba Carnival will be held from 14 to 16 August. Tradicionally, we are planning to envolve renowned experts from Europe and Brazil who will lead samba percussion, dance and capoeira workshops. The music program will be enriched with new contents and carnival parade will be more attractive than ever before! For more information visit our website, like us on Facebook and follow us on Twitter. This year EXIT festival will be an opportunity to present certainly one of the most prominent festivals in Novi Sad this year - Days of Brazil - Novi Sad Samba Carnival! 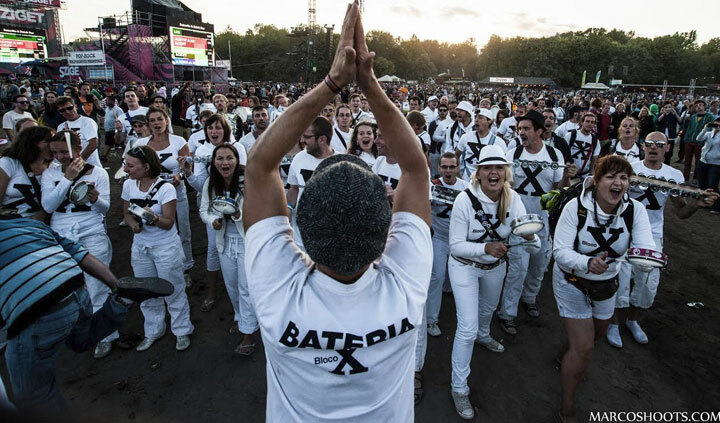 As an essential part of Days of Brazil every day at the EXIT festival will be organized presentations of samba percussion and dance workshops and capoeira. Held from 14 to 16 August in the most attractive locations in Novi Sad Petrovaradin Fortress , Strand beach and Freedom Square, the festival will for the sixth time turn the the Danube bank to Copacabana! 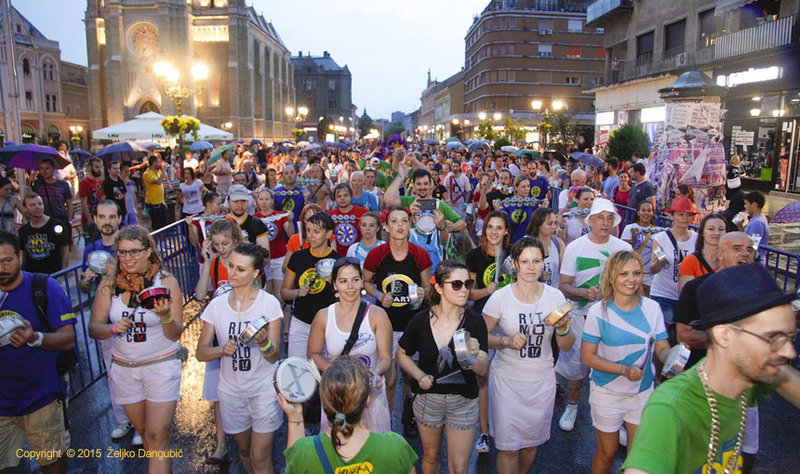 In addition to the workshops, musical programs and unforgettable socializing, Novi Sad will this time host the biggest European samba attraction Bloco X that gathers best sambist across Europe who will participate in a greaat international samba carnival parade on the last day of the Festival.